Jon Truax started in the construction industry over 20 years ago. In that time he has built custom homes, additions, remodels, outdoor furniture, and exceptional decks throughout Minnesota. Located in Shakopee, MN, Jon has specialized in custom built decks and outdoor spaces with his deck company in Minnesota. All of our decks are designed to your specific needs, home and lot layout. With our attention to detail and impeccable craftsmanship, we will build what you want to create. 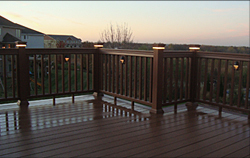 If you are looking for deck lights, we offer post cap lights, baluster lights, riser lights, and inlayed deckboard lights. We also have a strong background in custom deck furniture and planters and can incorporate these into any Minnesota deck design. If it's a pergola, gazebo, or screened in porch you're looking for we've done some of the best. Our up-to-date techniques and equipment make all of our structures very easy to upkeep and maintain. We stand behind every project we do and know that you will be proud to say that you've been DECKED by the TRU-DECKS deck company. If you’re interested in building the dream deck you’ve always wanted, contact us today. I'll meet with you personally to determine the layout and features that will make your deck everything you’ve always wanted it to be. Tru-Decks built us our dream deck and our screened in deck while staying within the budget we discussed upfront. The only surprise upon completion was how Tru-Decks had exceeded our every expectation. Jon and his team were so easy to communicate with from the start to finish. Thank you Tru-Decks. You never really know for sure how things will turn out when you contract to build for something, but with Jon I can honestly say every aspect of the project was very enjoyable. From his ideas on lighting to structure to the finished deck, I have never been so satisfied. I have and will continue to refer Jon to anyone I know that is looking to build. A true craftsman is what you will get with Jon and Tru-Decks. Our goal at Tru-Decks is to earn your trust and to exceed your expectations. Our business growth comes from our satisfied Minnesota deck customers and referrals. 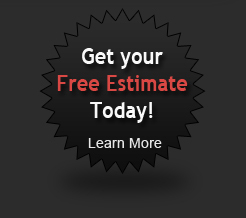 We service the entire Twin Cities area and beyond. We guarantee you will be satisfied with the finished product. From our first meeting, we will discuss your needs and ideas from design to structure. With over 20 years in the custom decks industry, we have the knowledge, vision, and talent to deliver your dream deck and outdoor space. Copyright 2011: Tru-Decks, LLC. | Minnesota Deck. All Rights Reserved.